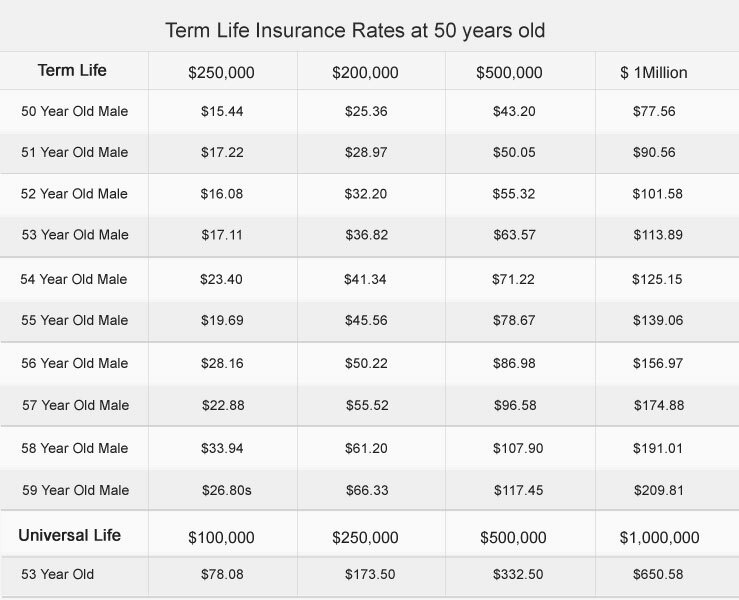 Are you a 53-year-old seeking Term life insurance? Those people aged 53 years old and above often seek term life insurance to manage the financial burden on their loved ones, should a death occur sooner than expected. If you are in your fifties and looking for an insurance policy, it is still more than likely you will get a good rate as compared to somebody ten years older. Those without health problems will find they can secure their loved-ones’ future with many options to choose from and with affordable rates. What are my options as a 53-year-old insurance buyer? There are two basic choices for those who are looking to buy insurance at 53: Term or whole life coverage. The former is an insurance plan that provides coverage for a specific term, as specified by the enrollee at the time of purchase. Term life coverage is more affordable than its whole life insurance counterpart and is for various reasons more popular by far. One such reason is that term life policies are more flexible and allow policyholders the option to alter their plan once the term expires. Whole life (sometimes called permanent) insurance is for a lifetime, not a term. As long as premium repayments are made, the policy stands, and it is well worth keeping up payments, as they accumulate cash value which you can receive loans against. For those wishing to turn their premium dollar into an investment, the whole life policy is a good choice. These are the two best available options for you. Whichever you decide to opt for, there are more decisions to make with regards to coverage amount, beneficiaries, what you want to insure and much more besides. Unless you are a healthy individual with no history of pre-existing conditions, your rates will more than likely be higher. Most companies insist you undergo a paramedical examination to assist the underwriting process, and once again this will affect outcome. Don’t wait too long to decide upon a policy. Your wallet won’t thank you and you will be risking missing out on a claim. That said it’s important to get things right from square one. Talk to a licensed, professional agent and have them educate you about the current market, how much coverage you need and the best value plan you can get. After all, at 53 years old, your life insurance may well have to last you a lifetime.